Our licensed professionals are available to help you treat your hearing loss. A comprehensive list of hearing care services to suit your needs. A wide variety of hearing products to fit your individual lifestyle. Arcade Hearing Aid Center has been helping people hear better since 1946! The clinic was opened on 3rd Street in Santa Monica in what is now known as The Promenade. In 1950 the business was moved to 1318 2nd Street where we spent over 60 years. About 3 years ago we moved to our current location on 1911 Wilshire Blvd. 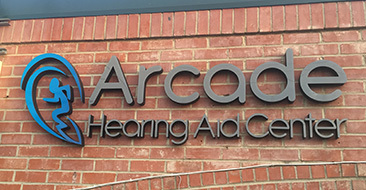 Arcade Hearing Aid Center was purchased over 30 years ago by Patricia Michaels, who is still involved today. She and her husband Daryl spent many years working side by side, and their son Matt joined as the Audiologist over 20 years ago. Another son Keith, is also an Audiologist, but he doesn’t work at the Santa Monica office. Arcade Hearing Aid Center is proud to deal with most major manufacturers and have a great reputation in the industry. Some of the companies we work with are Resound, Siemens, Oticon, Widex, Starkey, Sonic and Phonak. We feel that offering a full range of instruments is the best for our clients because there is not one solution for everyone, everybody has different needs and we can honestly guide you to make the best decision possible. We are an independent, local family owned full service clinic. We are known for our great service and our personal touch. We treat every one of our clients as individuals and offer solutions for every type and degree of hearing loss. Our office offers a full range of services such as new hearing aids, hearing aid repairs and service, expert adjustments, accessory sales and service, earmolds and earplugs, hearing tests, counseling and more. If you’re not sure what you need just ask and we will guide you toward the steps it takes to make your hearing the best it can be. Connect your hearing aids to various devices with bluetooth technology. 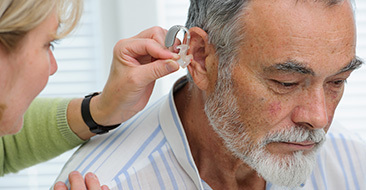 Comprehensive evaluations detail the type and severity of the hearing loss. Custom ear molds and earplugs for swimmers, hunters, musicians and more. 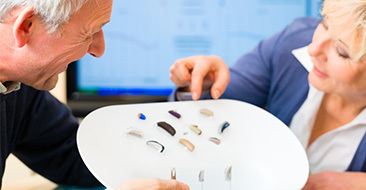 We are able to service and repair most major manufacturers of hearing aids.